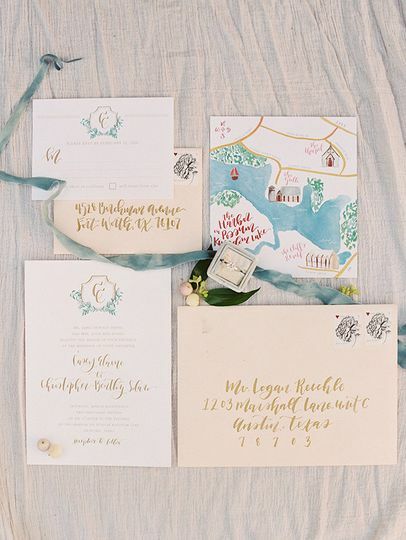 Goldie Design Co., formerly known as Clara Doyle Designs, is a creative studio specializing in custom wedding invitations, calligraphy, and design services. 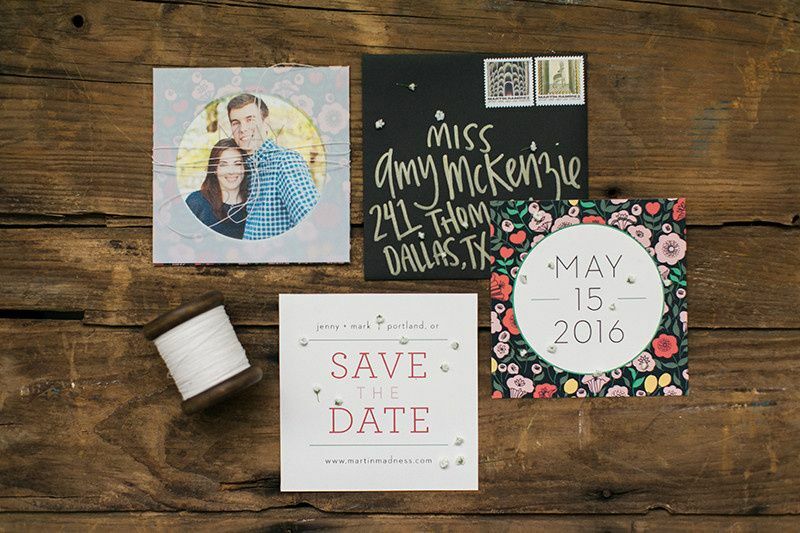 Goldie Design Co. is based in Texas, but serving clients beyond! 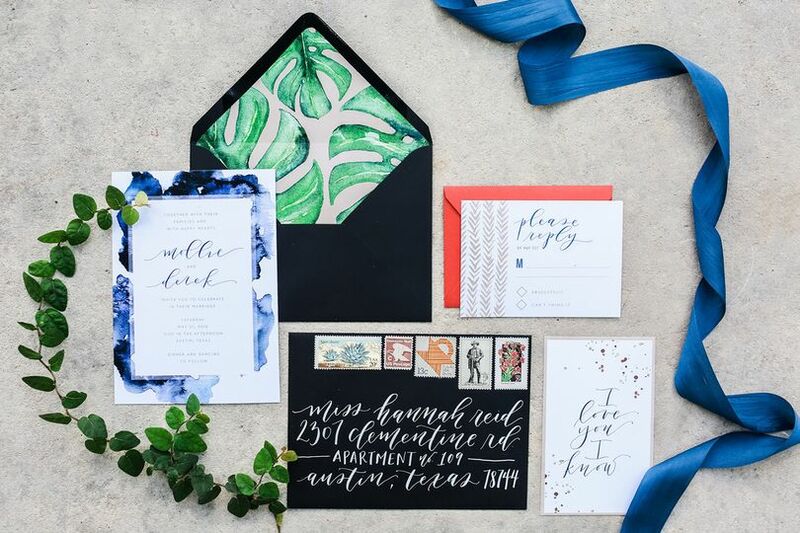 Lead designer and owner, Clara, is a snail mail enthusiast, chocolate lover, and Pinterest junkie. 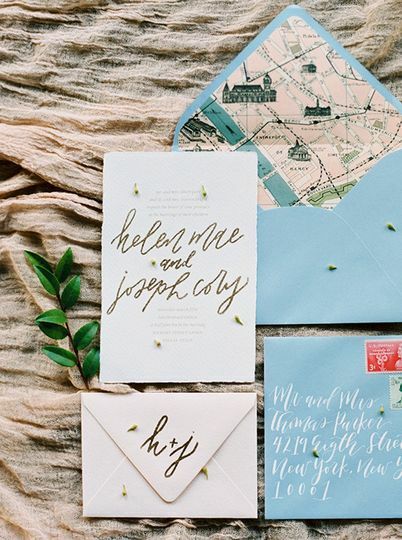 She works directly with each client to make sure their dream wedding invitations come to life, and guarantees beautiful paper products. 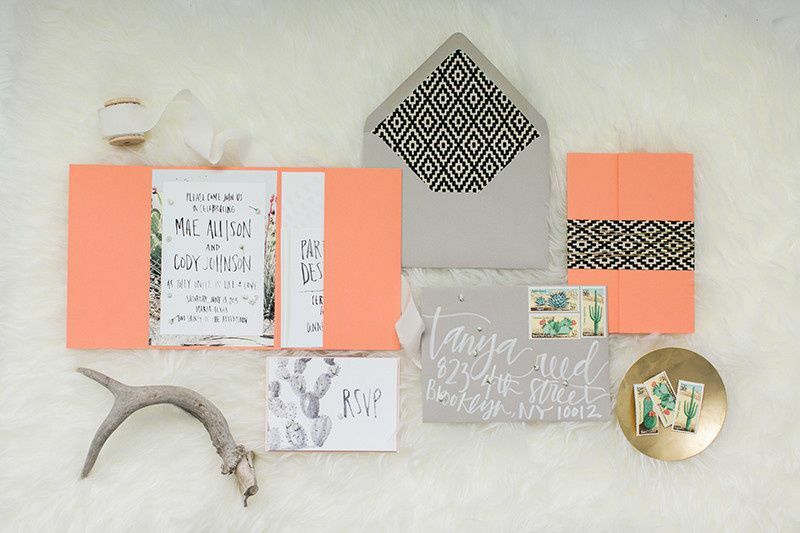 Goldie Design Co. brings modern touches to those traditional styles we all love. 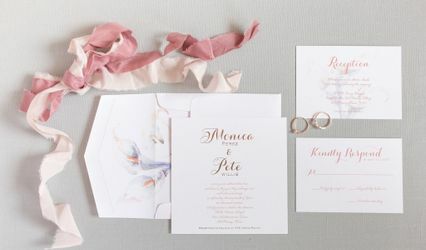 Let's put some fantastically unique papers in your guests hands to get them excited for your big day! 25 Reviews for Goldie Design Co. I absolutely LOVED working with Clara! She was so easy to work with and very responsive. 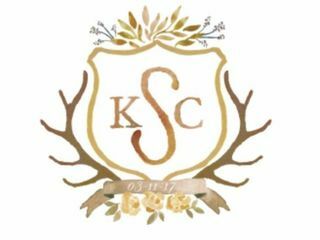 By far one of my favorite wedding sources. 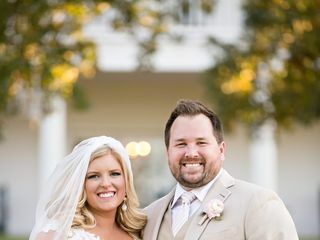 I have received more texts and messages about how amazing my wedding invitations are than I ever thought. 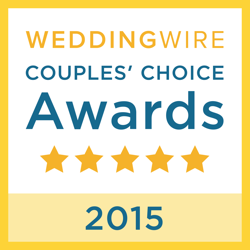 My friends all wish they hadn't gotten married yet, so they could use Clara, too! I'm seriously obsessed!! 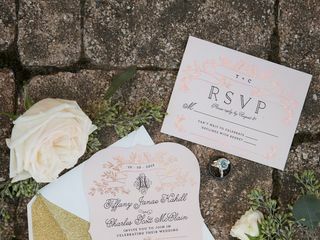 There was a part of me that felt a little silly about getting custom wedding invitations when there are so many pretty pre-designed options out there, but I kept coming back to Goldie Design Co.'s website over and over. So finally I got a quote, priced it all out, and it actually ended up being surprisingly comparable to other services! 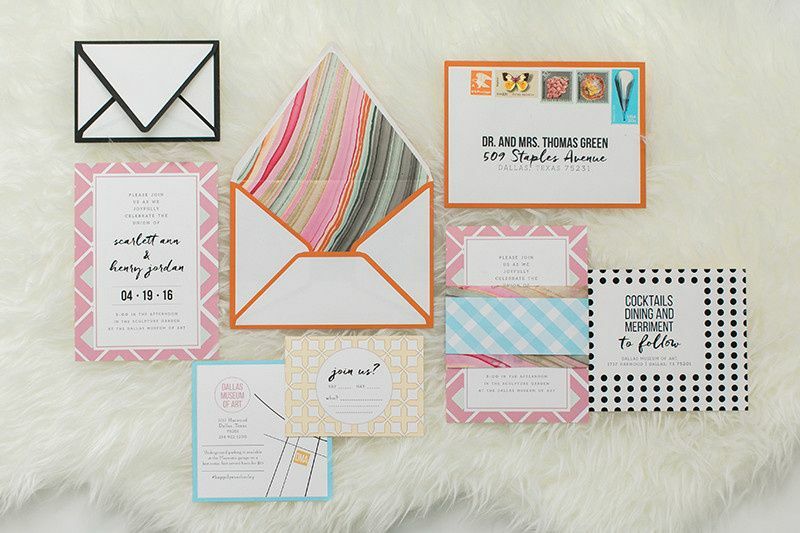 Clara offered so many options to cut the cost of my suite - for example, doing postcard RSVP cards. 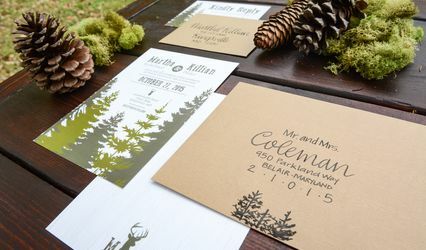 The finished product is amazing - I may be more in love with my invitations than with my wedding dress! :) She's also super responsive and has great tools at her disposal for managing the invoice and design approval process. 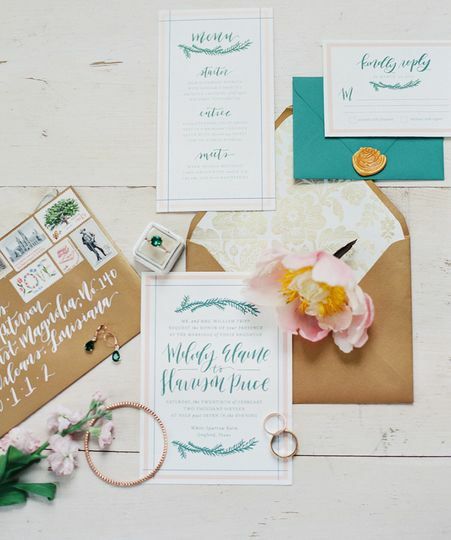 Clara has been a dream vendor throughout my wedding planning process! 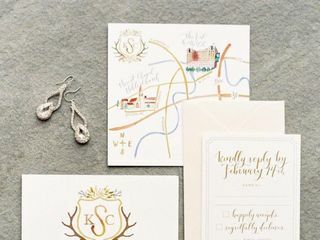 Her professionalism, creativity, and fun attitude made designing my invitations an absolute joy - I think I loved it as much as picking our my wedding dress! 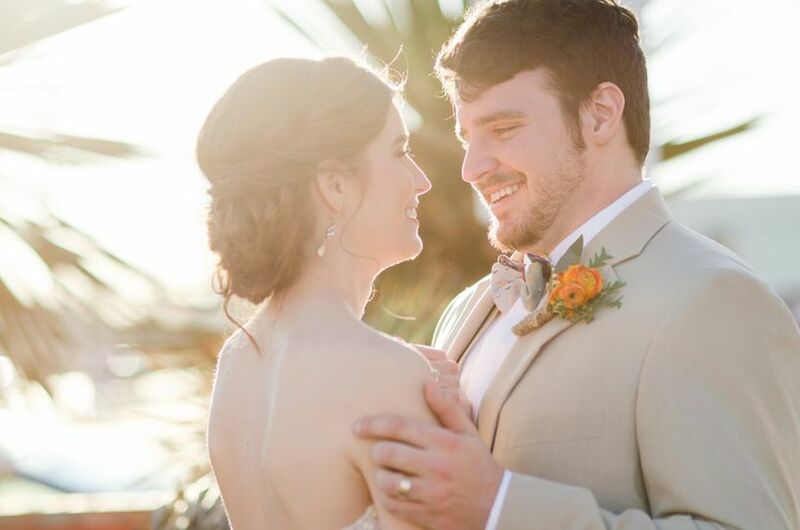 I was able to give Clara an idea of what I wanted to do, and even though it was a bit nontraditional, she brought my concept to life and hit it out of the park! 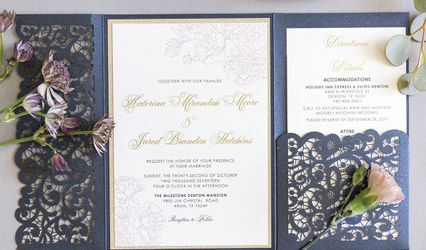 As other paper needs have come up for the wedding (seating chart, info for welcome bags), I know I can trust her completely. She gives you a peace of mind that is much appreciated and needed during the planning process! And she even found ways to save me some money along the way - something a lot of vendors wouldn't do! When I look back on my wedding planning, the save-the-dates and invitations are going to be remembered as one of my favorite things, and Clara is the main reason behind that. 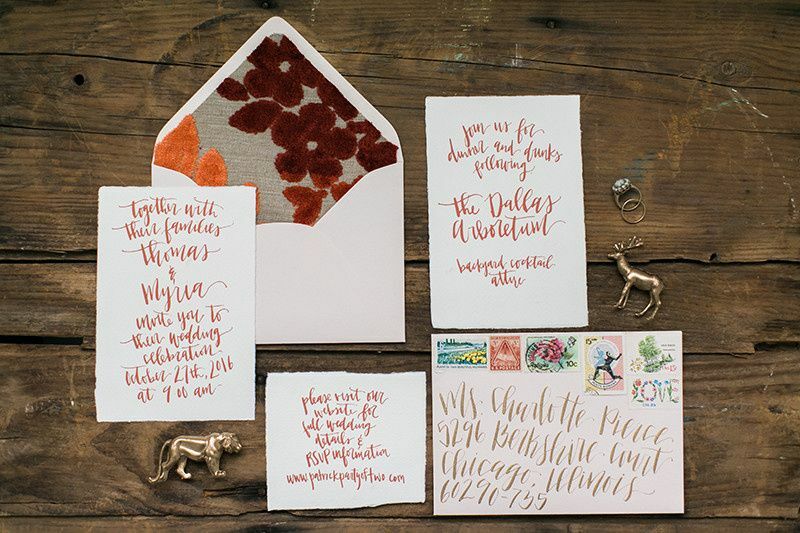 Clara Doyle Designs does great work! She is creative and listens to your vision. I have worked with her on styled shoots and also hired her for personal projects. 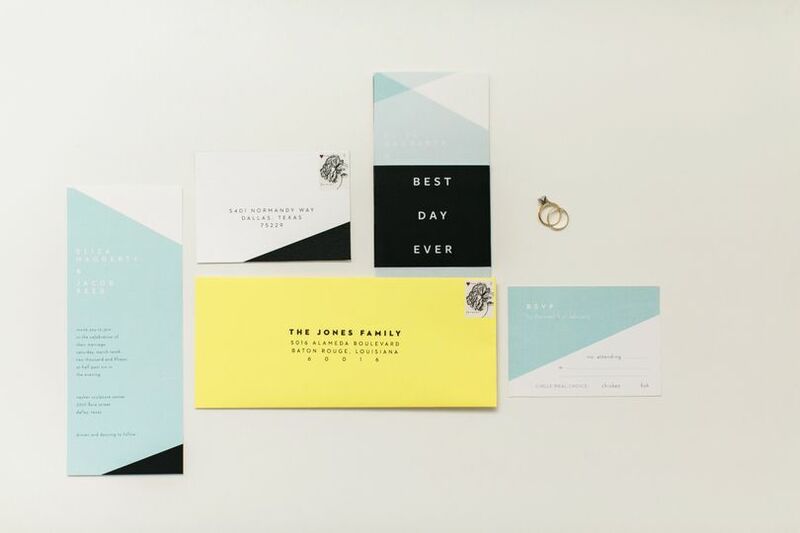 Clara pays close attention to detail, design, and is timely with getting projects accomplished. You will not be disappointed!